Bandcamp is opening their own record store in Oakland, California on February 1. 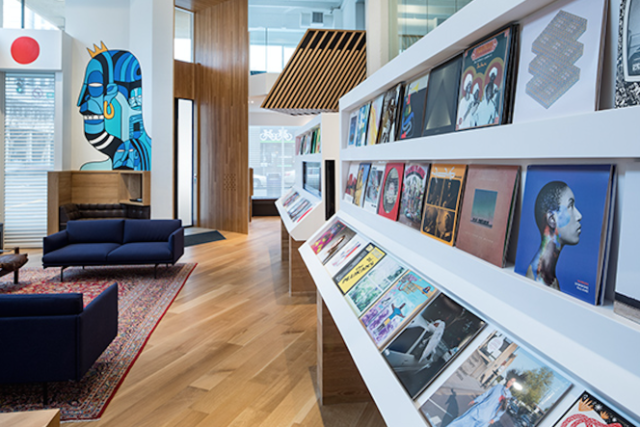 According to the company’s announcement, the store is designed to “showcase the diversity and design of the more than five million albums available on Bandcamp.” The store will also include a performance space which will host free concerts for all ages, with the intention of turning the shows into a video series. The company also announced its intention to host community events benefitting local charitable institutions like the Oakland School for the Arts, Bay Area Girls Rock Camp, and the Transgender Law Center (Bandcamp has donated proceeds from digital sales to the TLC in the past). The Bandcamp store will be located at 1901 Broadway in Uptown Oakland. Its grand opening party that day will feature performances by a selection of local Oakland acts: Bells Atlas, Sol Development, Queens D. Light, Jazz on the Sidewalk, and MJ’s Brass Boppers. Today, Bandcamp Is Donating Its Profits to the Transgender Law Center. Here’s What You Should Buy. Today, Bandcamp Is Donating Its Profits to the ACLU. Here’s What You Should Buy.